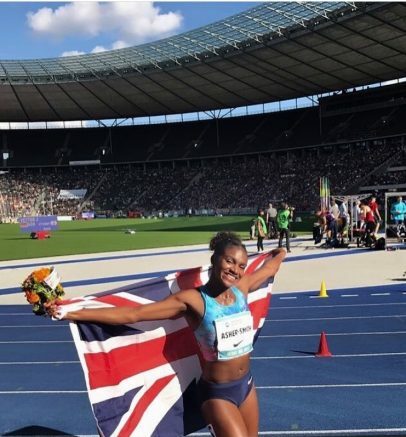 27th August 2017 – There was a brilliant victory for Dina Asher-Smith (GBR) over 200m at the IAAF World Challenge meeting in Berlin. Showing good strength over the final 40 metres Dina hauled in double world silver medallist Marie-Josee Ta Lou to triumph in 22.41 seconds. At the same meeting Schillonie Calvert-Powell (JAM) placed sixth in the 100m and Shannon Rowbury seventh in the 1500m.